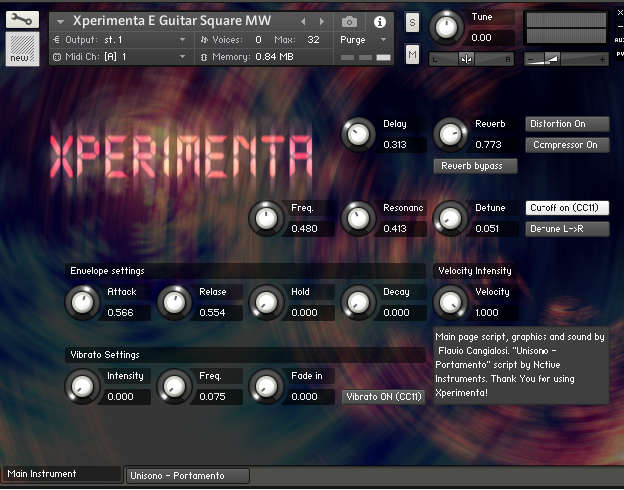 Listen to XPERIMENTA E. Guitar Lead! A very nice and usefull synth that sounds good everywhere! Use the modwheel to change dynamics, and, if you move it faster, the result will be very interesting and stereo-surrounded!